Beginning January 14, science teacher Shaheen Begum, along with assistant principal Milton Hall, implemented Chamblee’s Title I funds in the form of an “after-school enrichment academy” specifically targeted towards helping low-income students pass the Georgia Milestones End of Course (EOC) Assessments. 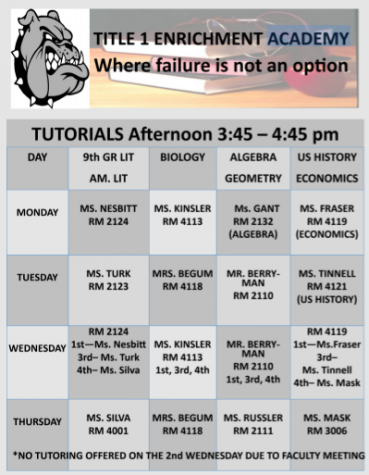 The program’s after school tutorial schedule. A part of the 2001 No Child Left Behind Act, Title I is a federal aid program that aims to assist public schools with high percentages of low-income students. On account of redistricting at the county level, Chamblee Charter High School has recently joined the over 55,000 American schools with Title I status. The academy’s focus is currently on English, math, and science courses, although Begum notes that a social studies tutoring program is underway. With the academy’s limited seating, however, Begum also has devised a selection process to make sure that enrollment is purely need-based. 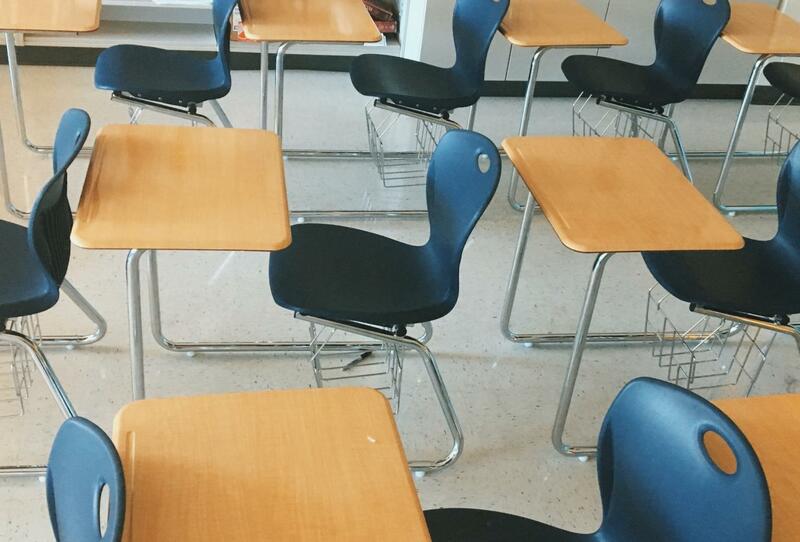 Teacher recommendations, previous report cards, and retention history also play a role in determining student enrollment. Along with the student selection process, a team of highly qualified instructors is also chosen to tutor the students attending the academy, one of them being math teacher Nathaniel Berryman. Berryman, who specifically used to tutor student-athletes as a college student, finds that the Title I sessions are no different. Title I tutors are not only expected to be knowledgeable in their subject areas, but in ensuring student growth as well. In addition to providing compensation for tutors, Begum is also using Chamblee’s Title I funds to expand the academy in a different direction, specifically by introducing a transportation system to run until the EOC test dates in April, which is when the academy ends. On top of that, the tutoring schedule is also made to be as flexible as possible. This additional support, whether it be in the form of tutoring or transportation, is what Begum believes can lead Title I After-School Academy attendants to the path of success. Helping students pass a Georgia Milestone EOC Assessment is only the beginning to what the Title I funds aim to accomplish. 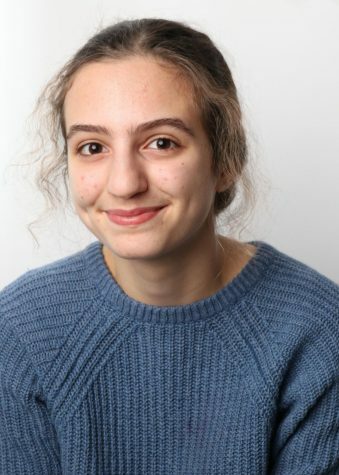 Iris Tsouris is a sophomore and staff writer. Outside of the paper, she likes drawing, playing the piano, and eating pasta. This is her first year on the staff.